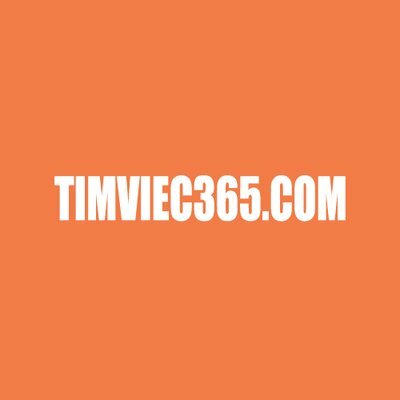 Timviec365.com is on the verge of releasing their all new and enhanced website to the market. The website will feature some of the most advanced tools and amenities to all users. It will give a more user-friendly interface for all electronic devices. February 23, 2019 / / — Timviec365.com is about to launch their brand new and developed website in the upcoming days. Release of this website has been the talk of the town for a while now and for sound reason. The website has been developed by some of best professionals and will feature all unique and authentic features. Which is said to be some of the best in the prevailing market. Timviec365.com has made breakthrough work before as well and there is no reason to except nothing other than that this time as well. Additional new features and filters that have been incorporated into the website to ensure that people find it easy to discover jobs best suited for them. “Every year countless individuals fail to find their dream jobs or not find any at all. This is not due to the fact they are not capable but because they do not how to go about doing so. And this is where our website comes into play and offers a helping hand to these individuals. Our new website will match a person’s skills and capabilities with all jobs on the portal and show every opportunity that this person can apply for”, stated the Chairperson of the company. He also went on to elaborate how it shall do so and how these new features will offer further help in doing so. Mr. Chairperson even mentioned how the website has been made ready for smaller electronic devices such as mobiles and pads. This will enable an increase of more users and shall give farther reach and help out even more people. Timviec365.com is the leading job searching platform online. The portal has been an integral part of the company since its inception and has been helping out thousands over the years. The company is aim is to offer a large variety of jobs in different sectors and industries to their valued users. With the release of their brand new website the company shall reach a new milestone in enabling people to find their dream jobs. Readers can click here to get more information.